It is after 4:00pm, February 22nd of the year twenty-nineteen, which was the last moment of the Sustainable Cities program in Calgary, Alberta. As I reflect on our experiences during the program, I realize that I have made new friends and feel more included in my university community. I am very grateful for the opportunity to be involved in the activities organized by the leadership team, including Andrew Barry, Tyler Warnock, and Kelly Kay Spurlock of the Leadership and Student Engagement Office at the University of Calgary. One of our experiences that resonated with most if not all of our group was the presentation by Cree and Métis Elder Kerrie Moore in the Native Centre. As she spoke of emotional healing of the spiritual, emotional, physical, and cognitive self, we found ourselves calm and perhaps deeply connected to our truest spiritual selves. As I looked around the room, I saw nods of acknowledgement and appreciation for her profound wisdom and knowledge, particularly when she spoke to each of our identities as being colonized at some point in history. In terms of social sustainability, this experience helped illuminate the issue of empowering persons experiencing deep emotional trauma, such as the Indigenous-Canadian population. It seems that they are best supported with appropriate emotional therapy and sensitivity. Elder Moore also spoke about the importance of earth-based learning and teaching in reconnecting peoples with their most healthy and intuitive spiritual selves, in order to build more robust and loving communities. A certain activity we did with Stephanie from CAWST helped to build our group community through brainstorming social, economic, and environmental solutions for prevalent global issues. This was also one of my favourite activities throughout the week, since we worked so well in our sub-groups to develop three unique, thorough civic engagement solutions. Each sub-group was tasked with illustrating their social, economic, or environmental portion of a holistic solution and each other group helped in building the whole picture. As a small community, I believe our teamwork and feelings of connectedness really increased with this activity. Additionally, our volunteer experience at the Calgary Food Bank clearly highlighted our strong ability to work as a team and our like-minded thinking. Although we didn’t like the abundance of plastic packaging used by the Calgary Food Bank, we worked efficiently in our two groups of six to sort assorted food donations into packages and distribute 4000 pounds of potatoes into individual bags. Perhaps we were left with some unanswered questions about the operations of the Food Bank, however this encourages us to think about how the social, economic, and environmental sustainability related to our experience. Our week challenged us to think of issues faced by marginalized groups such as those with physical accessibility needs, Indigenous persons, persons burdened by lower socioeconomic status, and populations around the world with limited access to the basic needs of safety, sanitation, and preliminary education. During one of our last reflections, we identified that the location of the Food Bank in relation to the rest of our city could be a barrier to accessing its resources by people who rely on those services. Our tour of the East Village, and our week travelling by transit and walking, helped to inform our opinion that the Food Bank is just too far away from hubs of activity and rather specific in its proximity to public transit to effectively facilitate increased social capital. 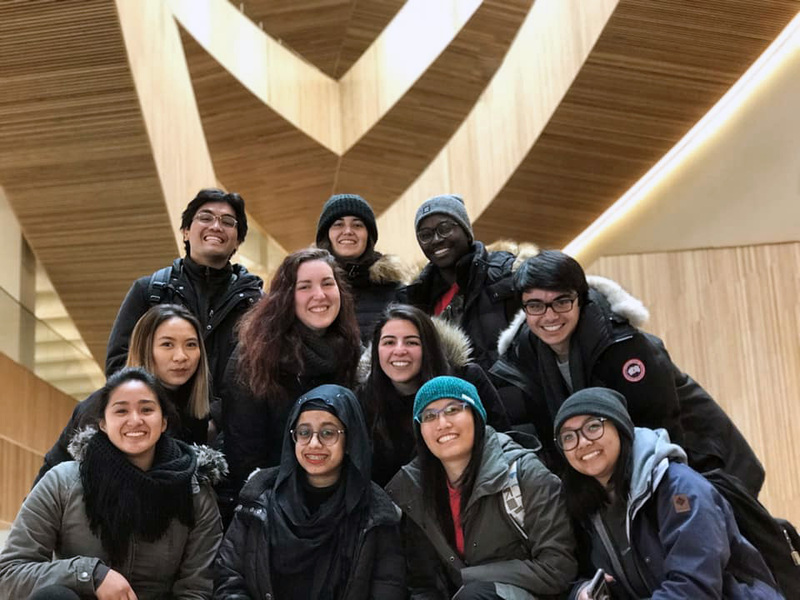 As participants in this university program, and citizens experiencing Calgary’s triple bottom line of social, economic, and environmental sustainability, we are now better acquainted with the impact of our own lifestyles and privilege, and are more aware of opportunities to contribute to our communities in a good way. It’s difficult to put into concise words the range of emotions I experienced throughout the week on this ucalgarycares trip. Before embarking on this journey, there was the expected excitement and nervousness as I tried my best to mentally prepare myself for four days packed with learning and community engagement. However, what I did not anticipate was how connected I would feel with the people I would meet, how emotionally moving the experience would be and the plethora of eye-opening moments I would uncover. In one week, I heard the narrative of downtown Calgary that does not receive the amount of attention it deserves, and let me tell you, it was a memorable one. Over the course of the trip, my group and I had the opportunity to frequent the Mustard Seed’s affordable housing unit located on Centre Street. It was here that I instantly connected with the welcoming staff and building residents over workshops, art projects and community dinners. Admittedly, these opportunities to engage with individuals were how I was able to quickly grow comfortable to converse with people experiencing homelessness. On the first day, we were given a detailed facility tour and some valuable insight into the complexities revolving around homelessness and the individuals that experience it. We rotated between the housing units, or the 1010 Centre, and the community center right next door where guests could be treated to coffee with snacks and bingo games. Engaging with community members who were staying at the Mustard Seed is what got me thinking about homelessness in a new light. It feels as though the abstract concept of poverty has now been personalized to me in a tangible form; a concept adorned in my mind with the dozens of faces I had spoken to, heard, and laughed with. It was only after engaging with them that I realized how deeply difficult circumstances such as lack of housing affect more than where one sleeps each night. One woman I met at the shelter spoke of homelessness in such a casual, yet powerful way over a taco dinner at the community center. “It’s completely unfair to receive the judgement we do, as if we chose to live without a home and we want to be in the situations we are in! Do you know how it feels to be refused help, or not even given eye contact when people pass by you? Do you realize what that does to a person’s humanity?”, she said in between bites of her taco and stories upon stories she shared with me about her lived experience with poverty. Her words resonated throughout my head as the week carried on, especially during an activity named, “A Day in the Life”, where I spent several hours outside in the icy streets of the downtown area, going about my day as if I was experiencing homelessness too. I was provided with nothing more than a $2 coin, which was what I was allowed to spend for lunch, and the companionship of my colleagues as I roamed through the streets collecting recyclable bottles. We also investigated resources and other shelters around the city such as the Alpha House and YWCA, and interestingly discovered some hostile city architecture intended to deter those experiencing homelessness from populated areas or business locations. In those 7 hours, I got an exclusive view into many daily challenges that people experiencing homelessness go through, including lack of support and acceptance in a modern and developed society. I also came to realize the unbelievable amount of privilege that comes with being a young, healthy university student living a comfortable life. It was also interesting to note just how far a foot massage could go for a person experiencing homelessness; considering they would be on their feet every day for several hours, usually without adequate footwear! I had previously not noticed such minute details but placing myself in a different perspective had really made them stand out to me. How would I stay warm during the winter if I was removed from every +15 link? Would I be able to collect enough bottles to afford my next meal? Where could I get groceries from if local grocers are too expensive? How would I find a job and pay my medical bills? What if I didn’t know how to write a resume? Where would I get my hair cut? Does anyone even notice me if they walk past me, or am I intentionally ignored by everyone? 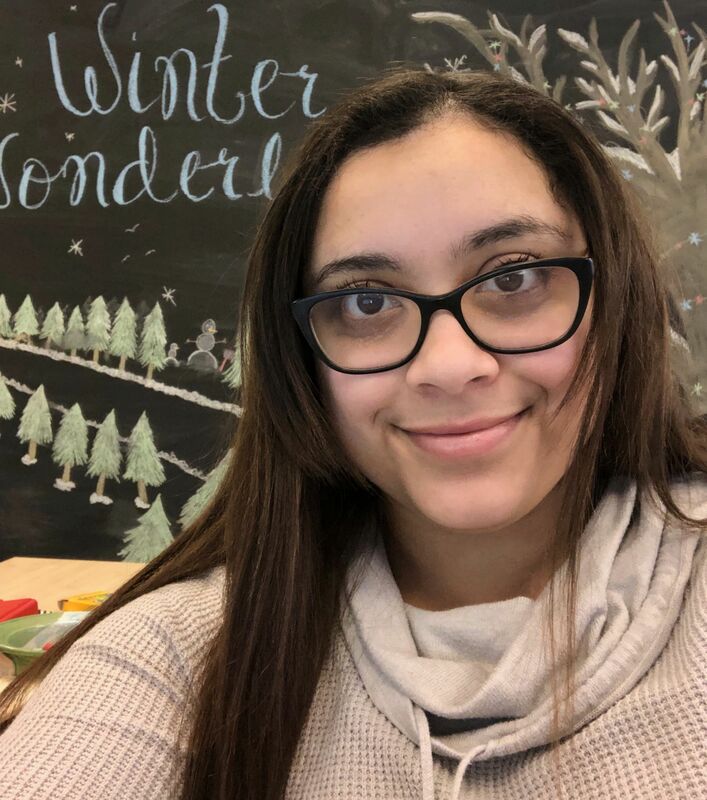 As I thought about these questions and placed myself in these situations, the complexities of homelessness and its deep-seated connection with mental illness became much clearer to me. The third day of the trip was packed with sorting hundreds of clothing donations and cleaning sleeping mats at the Mustard Seed shelter, located in the southeast of the city. The most memorable moment of that experience was laying down on one of the sleeping mats itself. I let my eyes close as I laid there for a few minutes, just to imagine the block of sponge beneath me as my bed for the night. I imagined the large shelter filled with bodies laying like mine; trying to sleep while one person was snoring and while some others couldn’t stop talking. I imagined feeling tired but unable to sleep from feeling worried, angry, lonely, and unhealthy. In those moments, I forgot everything else except for the corrugated aluminum sky above me, and the concrete below me. After gently shaking myself out of my trance of thoughts, our group migrated towards the kitchen to enjoy a hearty lunch prepared by some volunteers. Then, we continued to engage in thought-provoking discussions with the shelter staff. After being nearly four days into the trip, it felt like second nature at this point to serve coffee to some of the guests at the shelter, and I found myself looking forward to being able to chat with them. Throughout the week, major emphasis was also placed on the intimate relationship between drug addictions and homelessness. 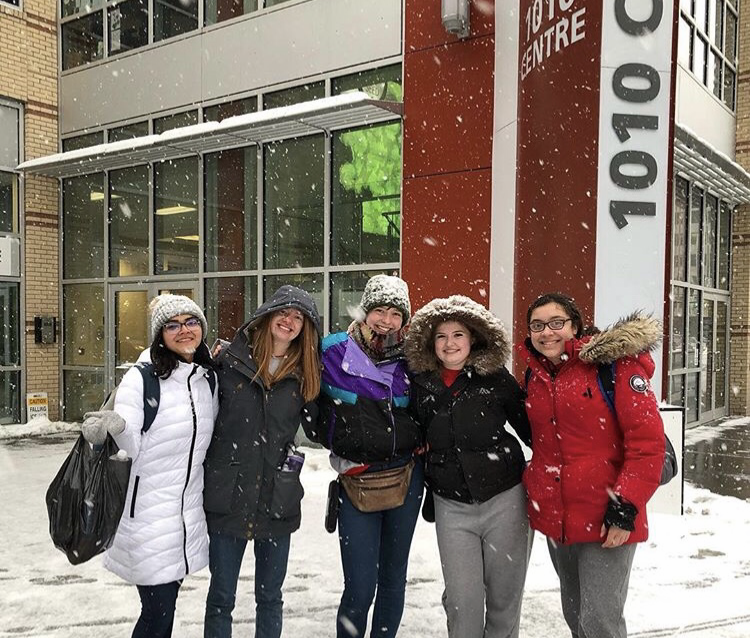 It is empowering to walk away from this ucalgarycares trip with a heightened knowledge and awareness of how drug addiction has been affecting our nation, and what is being done to assist those affected. From naloxone administration training to safe injection sites, facilitators from Alberta Health Services elucidated the misunderstandings and controversies surrounding drug addictions. It provides me relief to say I now am equipped with a greater understanding of what causes these addictions and how they can happen to anybody. For me, the key takeaway from this trip was that no matter what a person is going through, they are all human, like anyone else, and do not deserve to be treated as anything less. Homelessness at Home was a humbling adventure at the core of Calgary, leaving memories that shall reside in me forever. Personally, I felt that this trip was about encouraging me to step outside of my comfort zone to learn something new. After this experience has concluded, I am confidently able to say that those goals were achieved. Now, I see individuals experiencing poverty in our city as just that; individuals, which is what I really appreciate the most about what I took away from this program. I acknowledge that their circumstances do not define them, and that they have their own stories and personalities to share just like anyone else. I invite all my fellow students at the University of Calgary to challenge themselves and embark on this program. This program will allow students to discover fascinating perspectives from individuals bearing experiences from all walks of life and to develop a new kind of relationship with the city you study in. Toronto is such a fascinating city, with grand skyscrapers, high-rises, and gold-plated windows that mask the class distinctions on the ground. The poorer sections of the city are altogether scary; smeared in graffiti, cigarette smoke permeating the air, and a variety of litter on the streets. It’s covered up from above, hard to see, difficult to notice. It’s as though some people don’t have a place to fit in in a city five million strong – and it leads to them being forced into these depressing areas to live in. And living is hard in those areas. Given that my entire degree focuses on the functioning of the human body, I can say for absolute certain that a well fed person experiences more positive mental and physical functioning than a hungry counterpart. This is affected by the amount, quality, and enjoyment of the food someone is eating. Lack of a good diet compounds itself in decreased motivation, turning to other alternatives (alcohol, smoking, or drugs of some sort) to alleviate hunger, and overall depression. To feed someone is to enable them to see the light in a situation that seems otherwise hopeless. It’s these small actions that break one’s mental barrier between being able to wake up motivated or exhausted. Being well fed is the difference between someone riding an elevator or feeling able to take the stairs, compounding in other physical and mental benefits. It sounds ridiculous, I agree; however, to feed someone begins a positive feedback loop that breaks the cycle of alienation and depression someone feels in a city as large as Toronto. And, of course, a city as large as Calgary. This program was within the lens of teaching us to become better global citizens. I’ve realized that global citizenship doesn’t mean you forget about home. Calgary is also a massive city, and the issues faced in Toronto aren’t overwhelmingly different than the issues here. We have citizens here trapped in a cycle of helplessness. It’s almost insane to say that a single can of soup will change their life – however it’s a step in the right direction, a step toward motivating people, and a step to fixing the underlying issues we face around the world: homelessness, depression, and addictions. Global problems. It begins with the satiation of bacteria in the stomach, the firing of neurons, the rush of enjoyment, the temporary happiness, the self-efficacy of ability, the hope, the actions, the smiles, the reciprocity of it all. It’s watching the users of a food bank turn around and work for that food bank. It’s watching ability and hope grow and fester within someone who would never have had it otherwise. The solution begins with a donation by someone more fortunate. A donation is more than giving a meal, it’s giving hope. In the wise words of one of my program leaders: Serve, learn, eat, repeat. I’ve had the honor to be able to experience this cycle firsthand – and thanks to those who came on this trip with me, it has changed me for the better. It’s given me hope. And if there’s one thing we know about hope, it’s contagious. Rebecca: Fight for change, even when there is no benefit for your own self. Jemimah: no matter what pain you have, you must always be strong and keep a smile. Milana: The only person you need to impress is yourself. Rica: Be ready to jump in and help all the time. Simone: Never be afraid to be yourself. Sandra: Importance of self-care during hard work. Jannah: Love yourself so people will love you too. Sabrina: Ask questions for the sake of learning and not just for participation. Jessica: Always be ready and prepared for any situation. Yi: Never give up in the face of hardships. Areeb: Never be afraid to take the hard roads. Kyle: Always see the blind spots in everything. I am leaving this trip with a mind full of knowledge and a heart full for those people. The world will definitely change to a better place as long as there are people like this group and all the previous groups who participate in trips like this. This trip on its own had taught us many things; most importantly, though, it taught us to think locally and act globally. Our actions always have consequences, whether on the environment or the people around us. I learned most of all to choose our language carefully: we were not on this trip just to help out, but to reinforce the amazing systems the people of this city have already put in place. It’s been an honor. Medical Mercy Canada first sparked my interest when I read about their mission. Their mission to help others by providing medical assistance to those in need had really inspired me. They are a Canadian volunteer organization, providing support services to underprivileged persons and refugees in countries such as Nepal and Ukraine. I was also excited to meet other like-minded students who are passionate about service in the same way that I am. I had the amazing opportunity to be a Team Lead for this event where I led a group of student volunteers to the placement while engaging in icebreaker questions along the way. Upon arrival at the Medical Mercy Canada building, our group received a ten-minute talk about the mission and values of their organization. It was fascinating to hear about the ways they impact the lives of others, especially in countries such as the Ukraine. The staff at Medical Mercy were friendly and answered any questions that the students had regarding the organization and what they do. The duration of our volunteer shift was two hours. This time was spent wiping down walkers and wheelchairs, organizing medical files, and cleaning the area where the supplies were kept. Overall, I had an enjoyable experience as a volunteer at Medical Mercy. It was rewarding to assist an organization that is run by caring individuals who are interested in making a difference in the lives of those in need. At the end of the night, I spoke with the other students who had volunteered with me and everyone had positive comments to share. Medical Mercy was very welcoming to student volunteers, the staff were kind and informative, and the tasks were enjoyable, especially since we were able to talk to each other and work together as a team. All in all, I am very passionate about service and giving back to the community. I believe it is so important for students to learn about social justice issues and volunteer with non-profit organizations. It gives students exposure to world occurrences that they may not normally see or know much about. Not only do these experiences allow students to gain exposure, they also help them become more empathetic to people who may struggle with different things than they do. Moreover, students can carry on this new understanding of empathy and exposure, which will assist in elevating their success in the workplace. Using what they have learned from these experiences, students can help to make their workplace more inclusive and welcoming to everyone. When I first applied to be part of the Indigenous Leadership and Engagement program, I did not realize the extent to which 11 days volunteering in the Yukon would alter my perspectives about life and community. Leading up to the trip, we had pre-service and NAPI workshops, where all the members got a feel for each other and the knowledge we’d be learning throughout the process. During the workshops, I experienced slight anxiety as I was the youngest of the group and had not yet felt really connected to anyone, even though we were told that by the end of the trip we’d all become best friends. I was worried I’d be the odd one out and not become close to anyone. Looking back, that worry amuses me because what I’d been told was right, I ended up with 11 new amazing friends. From weird and deep conversations, to late night dance parties, to wild karaoke car trips, to dying together while trying to lift 300+ pound picnic tables, to beach days, to dump days, to painting days, I became closer to these strong women (and the lovely Andrew) than I am with some of my best pals. We became our own community filled with strong leaders, support, and inspiration. I never questioned, for a minute during the entire trip, whether I fit in or not. 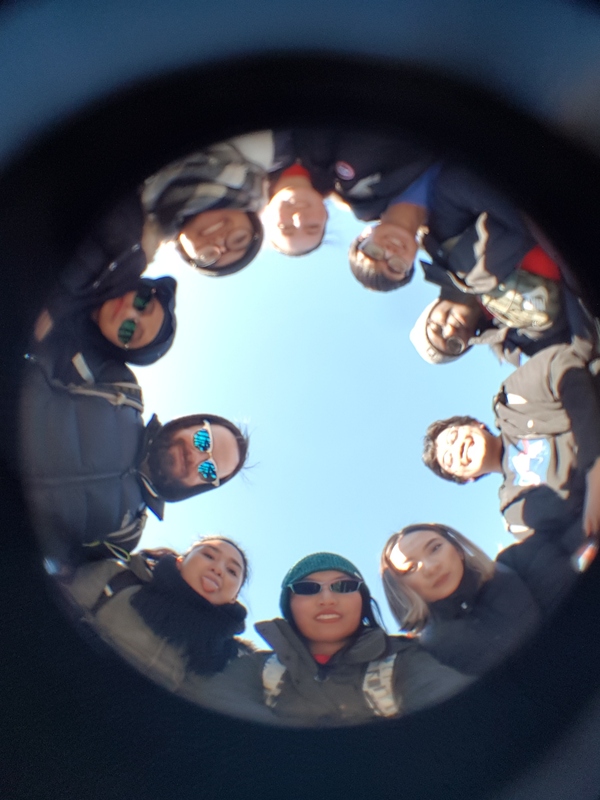 Having such strong bonds with all the team members really added to the learning about the importance of community from the Kluane and the Teslin Tlingit Nations. I learned that, in Northern communities, being connected to others and the surrounding land is a fundamental and vital part of life. This knowledge was easy to come across because I could see examples of it anywhere I looked. While volunteering with Uncle Sploosh (a bubbly and kind Burwash local, comedian, belly dancer, and hard worker), he’d stop to talk with anyone passing by! One lady saw we were headed to the dump and asked if we could pick up some things from her house to add to the load. Even though it was not on our list of what to do, Sploosh was totally willing to help. He told us that in the community of about 90, everyone was either related or good friends. Mary Jane, a very knowledgeable and sweet Elder we met in Burwash, explained how the members of Burwash Landing come together to when there is a death to allow the family to grieve. She also provided a glimpse of how the Kluane Nation is part of, and relies, on the environmental community. We were told stories about how to make tea on a fire and how to cook moose meat! She talked about hunting and hiking, and that she used to do a lot of hikes back in the day. Another topic she touched on a lot was climate change and how it is affecting the Kluane Nation as their traditional ways of living off the land are being changed. Community was everywhere I looked in the Yukon. At the Kluane Research Station, we met the amazing staff and researchers who gladly and warmly welcomed and accepted us. They were just as much a part of our group as the group members themselves and were open to sharing their knowledge and stories! They even threw a going away/birthday party for us on the last night at the station. In Teslin, we worked in a community garden which clearly brought the town together in growing plants and veggies that they could use for meals or share with others. Our fabulous co-lead Tessa introduced us to her grandma and mum who welcomed all of us! Her grandma even cooked a meal for 18! I think the hospitality is what I’m not used to seeing in Calgary. My favorite part of the trip was seeing the beautiful scenery and lakes in the Yukon. As soon as I arrived at the place we stayed (the Kluane Lake Research Station), I was fascinated by the breathtaking views that surrounded me. During my stay at the Kluane Lake Research Station, I had the opportunity to go on two hikes. I was really grateful for being able to enjoy the nature and the fresh air there. On our last night at the Kluane Lake Research Station, the staff held a BBQ/farewell party for us by the beach. The stunning view of the sunset and clear water made me feel like I was in a wonderland. It was such a privilege for me to be in this wonderland. There were a few challenges, which I encountered and grew from during the trip. Frist, I survived the days when I did not have cell phone and wifi services. Without the distraction of technology, I was more engaged in the present moment by admiring the nature and enjoying my peers’ company. 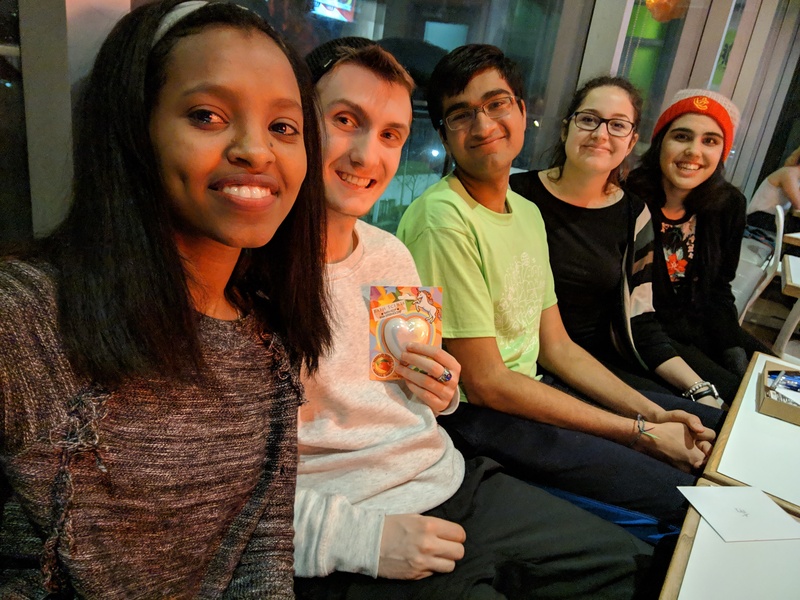 As I spent more time being present with my peers, I learned so much from their unique life experiences and I was really inspired by them in so many different ways. Second, I overcame the challenge of sharing a cabin with multiple people. Since my roommates were super respectful and opened-up, I ended up really enjoying their company. We became close because of this roommate experience. Prior to the trip, the Project Leaders did a great job to inform me regarding what to expect in the Yukon. As the Project Leaders already warned me about how demanding the physical labor could be, I was not surprised about the actual work I had to do. In fact, the physical labor part was not as bad as I imagined. The program actually exceeded my expectations. I have gained so many valuable experiences out of this trip. I really enjoyed having the opportunity to engage with local residents at Teslin through cleaning up their yards and having dinner at their homes. Through my conversations with them, they shared first-hand knowledge, stories and talked about their way of life. On Canada Day, we visited a cultural centre in Whitehorse. I very much enjoyed watching the performances there and hanging out at the gallery, learning about Indigenous art. Through visiting museums, I learned a little bit about the traditions and histories of the local First Nations. I also learned that Indigenous culture is not just one culture. Instead, there are many Indigenous cultures. I thoroughly enjoyed the laid-back lifestyle we experienced in the Yukon. In a small community, people know each other and they watch out for each other. Although the materials are limited in the Yukon, people thrive on the limited resources. For example, instead of counting on imported meats, people go hunting and smoke their own meats. Also, as cell phone coverage is limited, people in some areas do not have cell phone services all the time. Without extensive cell phone service coverage, people value face-to-face communication more than online communication. From seeing how local people adapt themselves to limited resources, I learned that I don’t need much to live a good life. Sometimes, a simple lifestyle can bring contentment. Because of limited resources, people are aware of conserving the resources and are more grateful for what they have. Living in a resourceful city, I appreciated the convenience I have. Also, the Yukon experience has made me to be more aware of not wasting resources. During one of the workshops, I learned many ways of conserving resources, and I would like to apply that learning to my daily life. For me, the most valuable part of the program was the relationship I built with the rest of the group. 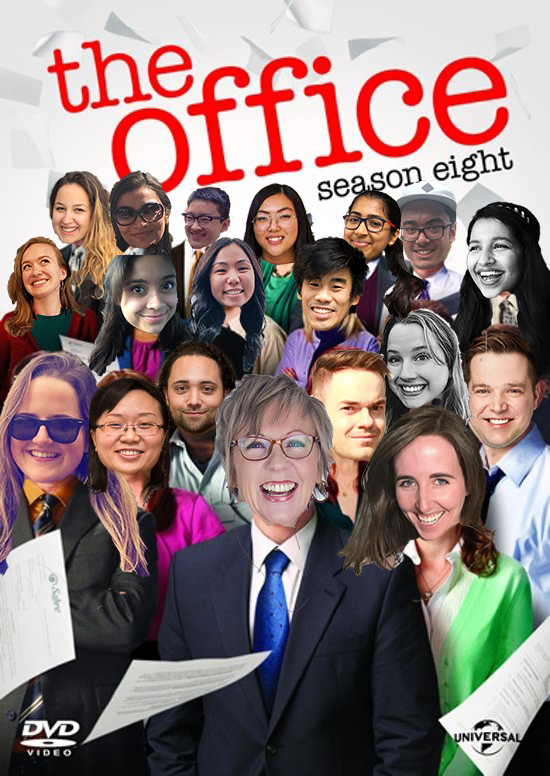 Each individual brought their own strengths and unique personalities to the team. I was surprised by how open and supportive everyone was to each other. There was no negative judgment for anyone’s contributions to group discussions. Everyone’s contribution to the team was recognized and appreciated. The Project Leaders and Assistant did such an amazing job to create a respectful, safe, and positive environment for everyone to grow and learn from each other. Every participant also played a key role to sustain the positivity and make the entire trip memorable, exciting and special! I would definitely recommend that everyone participates in this rewarding and life changing trip.